how will you buy? Are you going to loan or without the loan? You are going to buy two wheeler without the loan, there is no problem it's fine. But, if you prefer the loan you have to know the two wheeler loan interest rate of different banks in India. The most of the people prefer only government bank for any type of loans like home loan, business loan, mortgage loan, and vehicle loan. because the reason was the government banks will charge low-interest rates. It was correct but the government banks loan process was very slow. mainly the government banks prefer to give loan only their account holders only. The private banks also offering very low-interest rates if you have the good track record of previous loans and cibil score. The private banks are doing process very fast to approve the loan and also they are given an excellent customer support for any type of loan process. Whatever it may be let us know the Two Wheeler Loan Interest Rate Of Different Banks In India. SBI Two Wheeler Loan Interest Rate. The State Bank of India (SBI) is an Indian multinational, public sector banking and financial services company. It is a government-owned corporation headquartered in Mumbai, Maharashtra. We all know that state bank of India is India's largest bank. 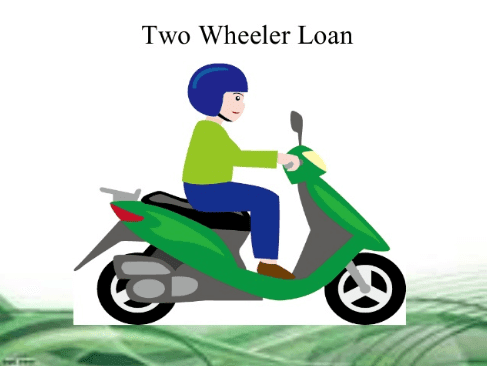 If you are SBI customer you will get the two-wheeler loan easily. HDFC Two Wheeler Loan Interest Rate. HDFC Bank Limited is an Indian banking and financial services company. Hdfc bank was India's largest private sector bank headquartered in Mumbai, Maharashtra. Hdfc bank ltd is one of the best banks for any type of loans and credit cards. this bank will support loans their bank customers and also non-customers. Hdfc bank was done the very fast process for two-wheeler loans. PNB Two Wheeler Loan Interest Rate. Punjab National Bank (PNB) is an Indian multinational banking and financial services company. It is a state-owned corporation based in New Delhi, India. PNB is also just like SBI. If you have the account with a good transaction you will get a loan from PNB. IndusInd Bank Two Wheeler Loan Interest Rate. IndusInd Bank is the first among the new-generation private banks in India. The bank offers commercial, transactional and electronic banking products and services. IndusInd Bank was very famous for two-wheeler loans. Bank Of India Two Wheeler Loan Interest Rate. Bank of India (BOI) is the commercial bank with headquarters at Bandra Kurla Complex, Mumbai and it is one of the top 5 nationalized banks in India. it has been government-owned since nationalization in 1969. You should be 21 years old. Less than or equal to 65 years at loan maturity. Should have to stay in the same city for the min of 1 year. If you are the salaried employee you should be submitted 3months pay clips. If you are self- employed, you have to submit min 2years Of IT returns with CA attestation. Landline phone or post paid mobile connection. What Documents Are Required For Two Wheeler Loan? ID Proof. Passport /Pan Card /Driver's License /Voter's ID/Aadhaar Card/ Identity card with applicant’s photograph issued by Central/ State Government Departments, PSU. Three recent passport size photographs.